This is a tax you pay if your property is worth £125001.00 or more. You will need to pay a solicitor to act on your behalf and you will have to pay the cost of land registry charges and local search fees. A solicitor will make a formal offer on the property on your behalf. They will be responsible for “missives”. These are a series of letters that pass between the solicitors addressing the finer details of the purchase. Many advisors will charge a fee. This will be disclosed on an Initial Disclosure document which explains any fees that they charge. At J&K Financial Solutions LTD a typical fee is £400, however we can charge up to 1.5% of the loan amount. 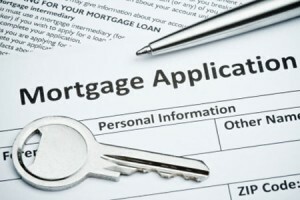 Many mortgage lenders will charge an arrangement fee depending on the type of mortgage you choose. In Scotland a Home Report is instructed by the seller which is available to all potential buyers. In the rest of the UK you have to pay for a survey on a property. A mortgage is a huge financial commitment and it is essential to ensure you and your home are protected in the event that you are ever unable to make payments due to ill health, redundancy or any other unforeseen circumstances. You will also need to ensure you have adequate building and contents insurance in place to protect your home. You need to know how much you can borrow before you make an offer on a property. Some lenders will provide you with an offer in principle. You need to be able to give proof of your income and most lenders base their calculations on your guaranteed earnings such as basic pay though most will also consider some or all of any regular overtime or bonuses. This will vary from Lender to Lender and between mortgage deals but generally the more deposit you have the more deals will be available to you. Typically a 10-20% deposit is required however it is worth talking to one of our mortgage advisers. Whether you have seen a property or if you are still just looking, the first thing to do is make an appointment to speak to us. We will complete a review which will identify your needs and which will give us enough information to ascertain what mortgage deals to search for. We will also identify which protection and insurance products you need. We can search the whole of the market for insurance and protection business. Once we conduct a search of the market for the best deals for you we will provide you with quotations which will give you an idea of the overall costs and the monthly costs of the mortgage and the insurance and protection products. If you have yet to find a property we can look at getting you an “agreement in principle” so you know what you can afford. You then decide which mortgage you would like to apply for. We then apply for the mortgage for you, we can also help you find a good competitive solicitor and organise getting the Home Report to the lender. Once we have the loan offer and the legal paperwork and process is complete, all that is left to do is collect the keys to your new home. What if I can’t get on the property ladder? There are other ways to get onto the property ladder if you are struggling to get enough of a deposit together, or if you don’t have enough income to make the mortgage payments each month. You can consider buying with friends or family . Have you heard of the Help to Buy scheme? There are two ‘Help to Buy’ schemes that have been introduced. Help to Buy equity loans are open to both first-time buyers and home movers. This scheme is only available on new-build homes worth up to £600,000. You won’t be charged loan fees for the first 5 years of owning your home. In the 6th year, you’ll be charged a fee of 1.75% of the loan’s value. After this, the fee will increase every year. The increase is worked out by using the Retail Prices Index plus 1%. When you sell, you must repay the equity loan from the sale proceeds. This Help to Buy scheme helps people buy a newly built home or an existing property with a deposit of only 5% of the purchase price. The aim of this scheme is to encourage lenders to offer more mortgages to borrowers with small deposits. 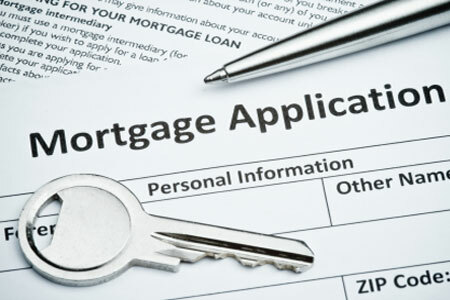 The guarantee is provided to your lender – not to you, and you’ll need to pass the usual lender affordability checks. The scheme is open to existing homeowners, as well as first time buyers, on new build and existing properties up to £600,000. If you are looking for a mortgage, we can help. If you would like to speak to an adviser please call 01592 748989 or use our online enquiry form.